Vhembe FET College is situated in South Africa's Limpopo Province. The public institution for Further Education and Training offers its students high quality education and relevant life skills. Students can choose between various programs offered in four different fields of study. 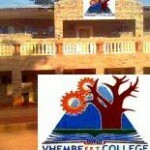 Vhembe FET College is situated in South Africa's Limpopo Province. The public institution for Further Education and Training (FET) offers its students high quality education and relevant life skills.